A Hreflang sitemap indicate how the language/country versions are related. Each URL that has an equivalent in another language/country should be specified in a separate row of the sitemap. You need to add the URL itself with all its equivalents. Below are some examples of how a Hreflang sitemap could look like for subdirectories, ccTLDs and subdomains. 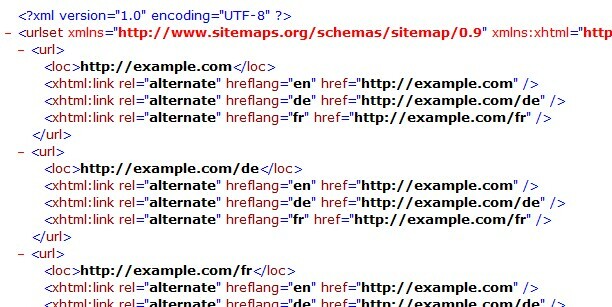 You can also use dedicated XML sitemap generators to create a Hreflang sitemap. ← What is International SEO?